CHICAGO--(BUSINESS WIRE)-- Hyatt Hotels Corporation (NYSE: H) announced today that a Hyatt affiliate has entered into a franchise agreement with PHR Okinawa Hotel Management Ltd., a subsidiary of Ken Corporation, Ltd., for a Hyatt Regency hotel in Naha, Okinawa. 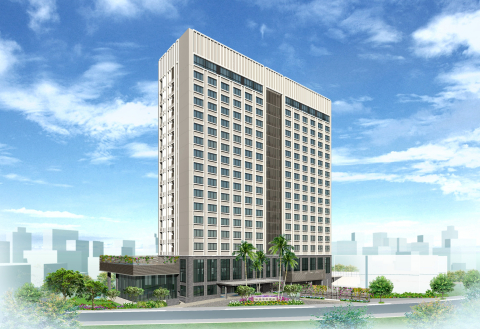 Expected to open in late 2015, Hyatt Regency Naha, Okinawa will mark the first Hyatt-branded hotel on the island of Okinawa, Japan. Located in Naha, the political, economic and education center of Okinawa, Hyatt Regency Naha, Okinawa will feature 294 guestrooms, four food and beverage outlets, meeting space, a fitness center, and an outdoor swimming pool. The hotel will be within walking distance to Kokusai-dori, the city’s main tourism and entertainment district. With Naha International Airport less than three miles away, Hyatt Regency Naha, Okinawa will provide easy access and convenience for business and leisure travelers. The Hyatt Regency brand is an energizing hotel brand that connects travelers to whom and what matter most to them. More than 150 conveniently located Hyatt Regency urban and resort locations in over 30 countries around the world serve as the go-to gathering space for every occasion – from efficient business meetings to memorable family vacations. The brand offers a one-stop experience that puts everything guests need right at their fingertips. Hyatt Regency hotels and resorts offer a full range of services and amenities, including notable culinary experiences; technology-enabled ways to collaborate; the space to work, engage or relax; and expert planners who take care of every detail. For more information, visit www.hyattregency.com.